Antivirus software is considered to be a necessary investment since it protects you from losing data from corrupted files or from hackers. These virtual terrorists pose a serious threat to your online identity and finances. Nowadays, you can easily protect your computer or device by a free antivirus protection program. Let us first look at a few advantages of using antivirus software and then move on to the benefits of opting for free antivirus protection. It protects you from becoming a victim of identity theft. The software does this by blocking computer viruses, which may steal your personal information. It prevents your data from being corrupted, which will save you a lot of time and effort. It prevents losing important files and documents. 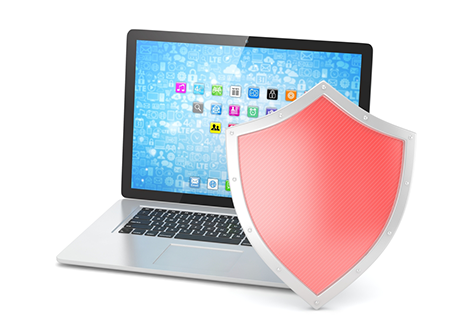 It protects your shared networks from virus attacks such as Trojan Horses. Antivirus programs can speed up your computer, as they will also de-clutter cached threats. The concept that you can provide your computer or device with the protection it needs against viruses and malware threats without parting with your cash is good news for most users of the free antivirus. With free antivirus, no money is involved but your computer or device will continue benefiting from protection. If you use the computer or device to browse the Internet on consistently, doing so with the free antivirus would also offer you the much-needed protection. This is one of the key benefits of installing free antivirus. The fact that there is no money or fee to pay gives you the right to try a number of different products before settling on one that you would be willing to pay for and use. Therefore, ensure to get a free antivirus protection program that will help you to save your money guaranteeing to provide you with all the essential benefits you need from this free antivirus software. This type of free antivirus protection can be obtained through Comodo Free Antivirus Software, which is the only fully featured security software that successfully protects your computer or device against Trojan horses, worms, viruses, spyware, backdoors, adware, rootkits, and other malware infections, including the highly dangerous zero-day malware as well. Valkyrie: With the increase in zero-day malware, the requirement for a cloud-based behavior analysis system which can keep up with the various latest malware is considered to be highly critical. This goes beyond the conventional blacklist of programs. It is an advanced security system that proactively identifies and prevents malicious network intrusions. HIPS monitors the server activity constantly and checks if the processes and executables are compliant with the existing security rules before it runs and executes them. HIPS protects folders, files and registry keys and denies illegitimate access by malicious programs. It works on artificial intelligence. It implements default deny approach by 'containing' or 'restraining' files and running them in a sandboxed environment, until they establish themselves to be harmless, without affecting the user experience and the security of your device or computer. Allows users to undo malicious-looking changes which PC(s) might have recorded due to malicious actors.